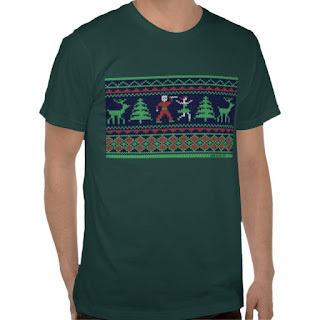 The ugly Christmas sweater and the ensuing ugly Christmas sweater parties have become pretty popular over the years. 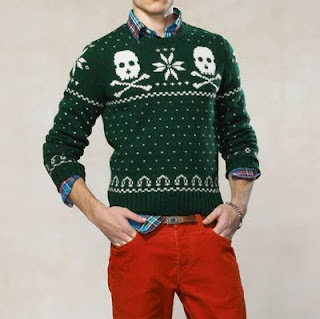 On the plus side, at least you have occasion to wear that lopsided Rudolph sweater that your great Aunt Gertrude knitted. On the negative side, you have to wear an ugly Christmas sweater. 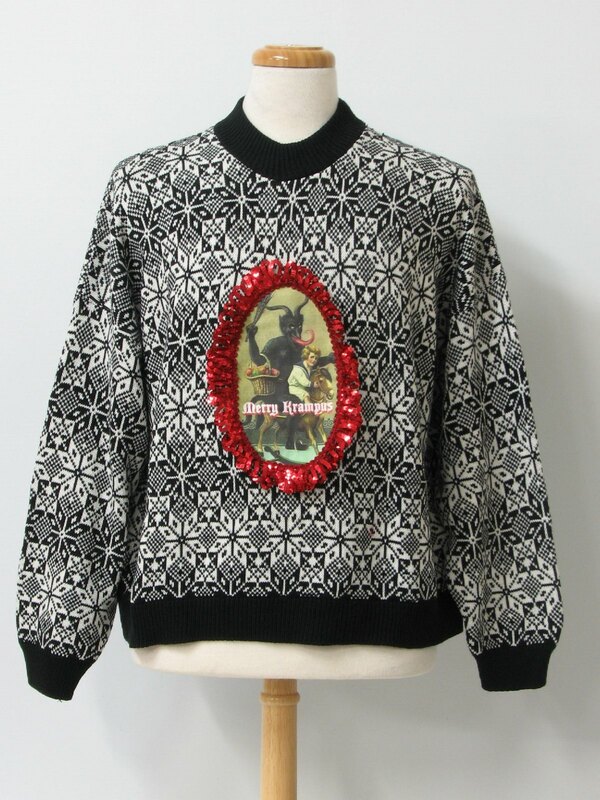 However, nowadays you are in luck, because you can find some pretty neat "ugly Creepmas sweaters", ones that are perfect for spooky kids like us! 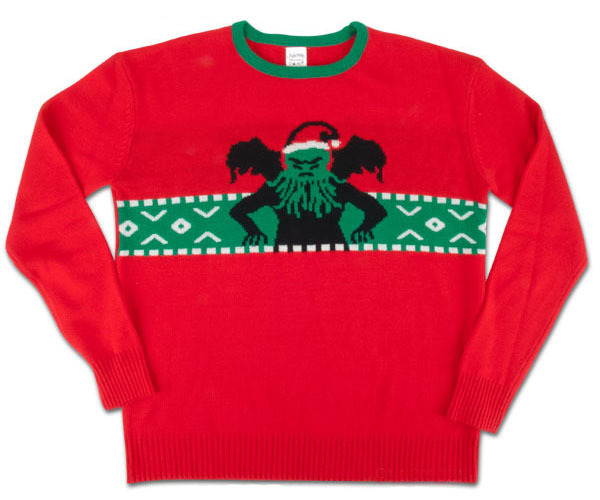 Check out more ugly Creepmas sweaters and even more Creepmas sweaters for the wicked! also cheers for the post you did about the krampus, I hadn't heard of it before. Wow! Cthulhu Christmas Sweater! 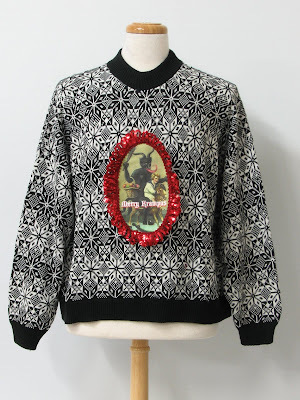 Sweater of my dreams! Great post! 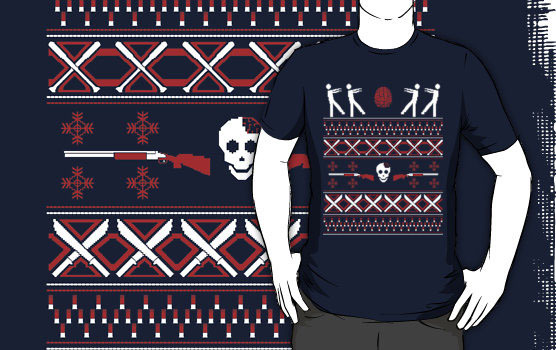 Living in Australia, where Christmas means summertime, the "ugly Christmas sweater" is a very foreign and exotic concept. It's good to see the Creepmasy themes are even creeping into sweater design. I love the christmas jumpers. 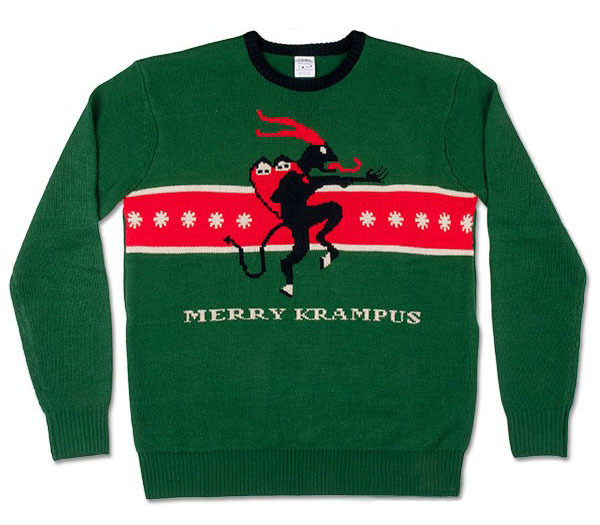 I bought one last year and I actually wore it quite a lot. This year I've bought me one and the boyfriend one, he doesn't know yet and I have a feeling I will wear it more then him. 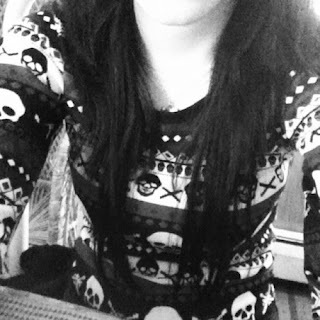 I love the christmas jumpers, I bought one last year and I actually wore it quite a lot. This year I've bought me one and the boyfriend one, he doesn't know yet and I have a feeling I will wear it more then him.